These light refreshing sprays are great after bathing & before applying moisturizer as well as effective room & car fresheners. Lightly spray on freshly laundered sheets for sweet dreams! The very best way I've found to reduce swelling, treat edema, heal bruises and tend aching muscles. Sprays on cool then heats up for instant relief! I recommend using this potent spray with caution! It is much stronger than arnica oils, even mine. Therefore, do not use on broken skin. If you massage it into sore areas, be sure to wash your hands afterward. During the 15th century plague that swept through Europe, four men in the city of Toulouse, France, were arrested as thieves. They had been seen plundering, without getting sick, the homes of the dead and dying plague victims. After being captured and interrogated (probably water boarded), they revealed that by day they worked as perfumers and spice traders. They explained that they had developed a concoction of aromatic herbs that they rubbed on their ears, hands and temples (not in or near the eyes) that seemed to keep them free from the plague. We are told that in 1997 Weber University ran studies to establish the effectiveness of the original recipe against airborne bacteria and found it to have a 99.96% success rate. The bacteria cultures were sprayed in a limited area and the Thieves blend was then diffused into that area. In our Four Thieves concoction, we've used most of the same herbs from the reported original recipe plus some new additions which, thanks to world travel, are now available to us. Legally, we must state that this product has not been evaluated by the Food and Drug Administration and that it is not intended to diagnose, treat, cure or prevent any disease. We just like the smell! With all the drug resistant stuff floating around, we decided that for us it was worth a try. We'll leave it for you to draw your own conclusions. 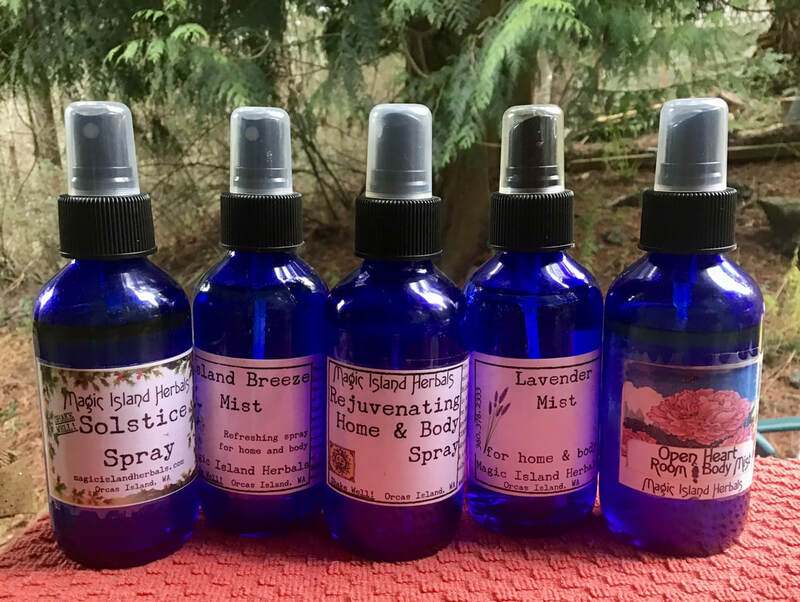 Made with: rosemary, lavender, peppermint, clove, lemon, wormwood, rue, oregano, ginger, thyme, angelica, lemongrass and sage pure essential oils in organic apple cider vinegar. 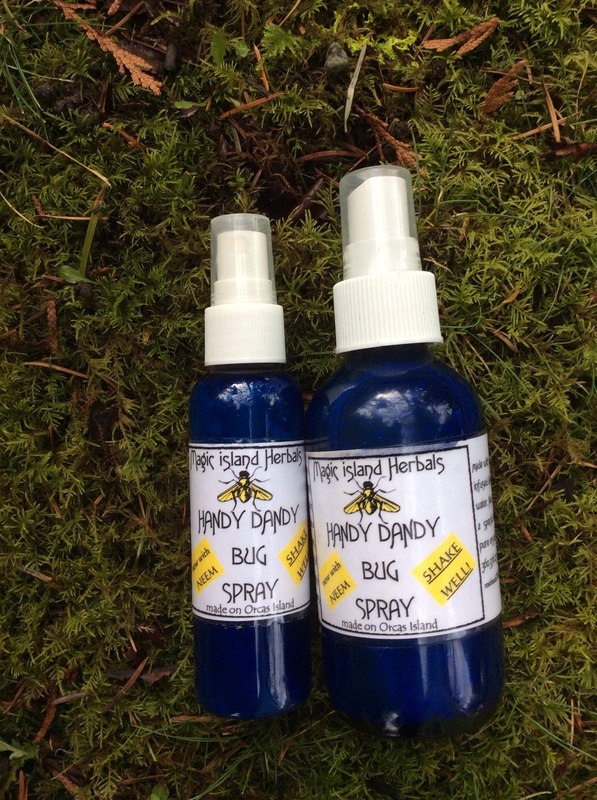 Made with Neem Oil, a natural, non-toxic repellent, along with a potent blend of pure essential oils in a water based spray.